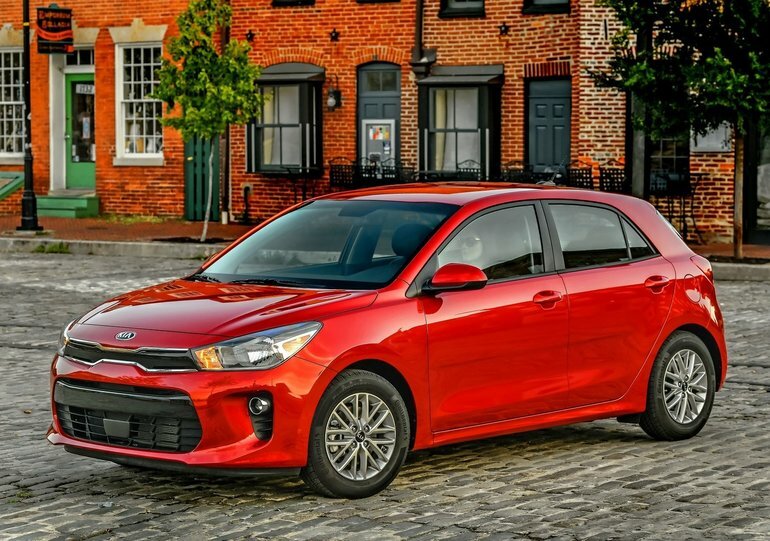 Available from just $16,570 at Kitchener Kia, the 2018 Kia Rio incorporates a variety of elements that raise the standards of the subcompact vehicle category. In an era where technology dominates our lives, the new Rio adapts and now offers a standard touch screen in every model. Moreover, the 2018 Rio is compatible with both Android Auto and Apple CarPlay systems, allowing you to stay connected on the road at all times. A new intelligent optional service called UVO even allows you to set parameters for your new Rio remotely from your smartphone. With UVO, you can find the location of your vehicle, start the engine remotely, unlock the doors, adjust the cabin temperature, and even activate the heated steering wheel. At Kitchener Kia, the safety of our customers is at the top of our priorities. With the new 2018 Kia Rio, you can hit the road with confidence. With the standard rear-view camera, six airbags, and optional stand-alone emergency braking, the 2018 Rio doesn’t skimp on safety. The 2018 Kia Rio really has it all, not just from a rational point of view. With its 1.6-litre GDI direct injection engine, the little Rio delivers 130 horsepower and 119 lb-ft of torque, which is enough to make you want to hit the road and have a blast doing it. Two transmissions are offered, one manual and one automatic, both with six speeds. Available in sedan or hatchback configurations, the 2018 Kia Rio will please you no matter what your lifestyle. Thanks to its aggressive price, it will also please your wallet! Take a look at the new 2018 Rio at Kitchener Kia today.